Large Scale Central - Advanced Forum Detail Topic - Engine / Loco Use: 'Hobbs Meter' Device? Topic: Engine / Loco Use: 'Hobbs Meter' Device? 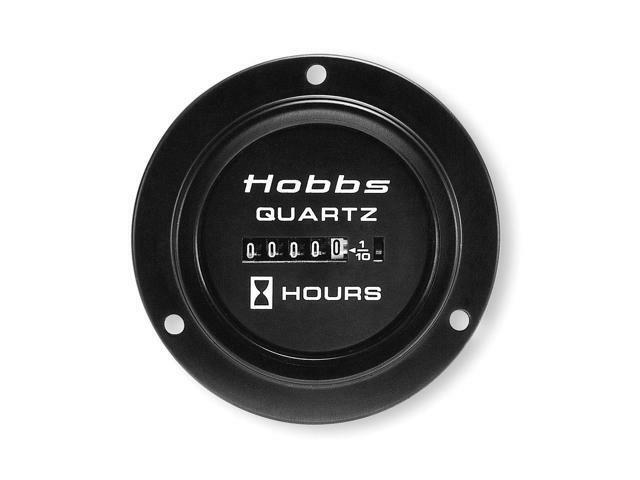 Engine / Loco Use: 'Hobbs Meter' Device? Please excuse my ignorance, but I thought I saw on one of the G-scale forums online that some of the more expensive engines have some kind of device where the total running time can be displayed or retrieved. Is this correct? Small civilian planes have this kind of device; it is called a Hobbs meter. The point is to determine how long the plane was flown so you can keep track of required maintenance. I am looking for a USA Trains J1e Hudson and I thought I saw on a forum somewhere that some engines have a device where you can keep track of the total number of hours the engine has been run. Can anyone enlighten me on this? I've looked over USAT's list of features on the Hudson and haven't seen this capability so how do you determine how much use the engine has received when you're buying a used one from a seller? I've looked over USAT's list of features on the Hudson and haven't seen this capability so how do you determine how much use the engine has received when you're buying a used one from a seller? You talk with the seller and if you believe him, that's your answer. It (Hobbs Meter) was mentioned on the list, but in a ride on scale where liabilities are greater. Apparently it's 68, I'm constantly amazed by what I remember these days, some of it is even useful! Dang...I guess I missed the boat again! Some decoders had cumulative running time stored in them. You probably read my threads on my ride-on electric locomotives. I have three 1/8th scale electrics and all three have Hobbs meters. 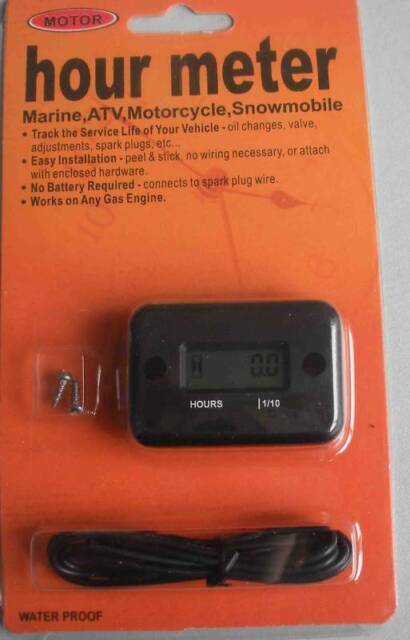 Mainly to keep tabs on the time on the batteries and maintenance and lube schedules. I think a true Hobbs meter is too big! how do you determine how much use the engine has received when you're buying a used one from a seller? I look at the wheel treads, and overall condition of the piece. If the treads show wear, then you know it wasn't a shelf queen. Equipment that is used, actually used, will quite often have some wear marks on the body from handling, or the occasional impact with a stationary object. I think Twister is looking for a Hobbs meter to use on a USA Trains J1e Hudson. I do not believe they have spark plugs! Instead of a Hobbs meter, how about a meter that counts wheel revolutions. That would be more useful for our purposes. Sorry to have caused confusion but, no, I am not looking for an actual "Hobbs meter" for a USAT Hudson, I'm only asking if there is a feature on USAT Hudsons that will tell the owner how many hours the engine has been operated. I was on one of the G-scale forums in the last week or two (can't remember which one) and a poster mentioned a device that recorded running hours and, if I remember correctly, "scale" miles run. The purpose of this device was simply to record how much the engine has been run. Such a device would help determine how much life an engine has left in it when buying a used engine, especially when that loco, like the USAT Hudson, is rather expensive. So ultimately, my question is simply, does the USAT Hudson have such a device installed from the factory or not? I have looked closely at the USAT Hudson features and I would think that answer is "no"? Only the QSI decoder had it in it. The USAT Hudson's only option was a Phoenix sound system. I don't know of another decoder that has that capacity, but there may be, but there was no such option in stock ones. The real thing you want to look for besides the tire wear and how it runs is if you have bad bearings in the gearbox, but you cannot determine this from the outside of the loco. Could Twister be thinking of having a car running behind the Hudson with a speedometer/scale miles odometer on it. Kinda sounds like this might be what he is talking about because of his mention of this on another forum. Just a surmise :). MTH engines - The main PS2 or PS3 board does keep track of total time the engine has been 'started up' and then the number of scale miles it has been run. These numbers are tracked over the engine's lifetime and then there are the same figures you can get for the current run time since last started up. The same is true for engines where Ray does installs of PS2 / PS3 in non-MTH engines, they keep track of the same. I don't have any MTH engines so I don't really know anything about this except what Ray told me. "so how do you determine how much use the engine has received when you're buying a used one from a seller?" I've heard the same thing on MTH, but it's not stock on the USAT Hudson, and unless you had an MTH decoder or QSI decoder installed, the answer is "no way to tell actual running hours by reading back a value from the loco electronics", i.e. no Hobbs meter electronic or mechanical. And like I said, the critical wear parts seem to be motor and gearbox bearings, which require disassembly to view. The other thing is, how much time is too much time? I mean, lets say you are looking at a piece of equipment that has 300 hours on it. If its expected lifespan is 400 hours, then it has a lot of run time on it. If its expected lifetime is 1,000 hours, then it has a decent amount of run time. If its lifetime is 100,000 hours then its barely broken in. So knowing how much tun time is only half of the equation. The other half of the equation is what run time is the thing supposed to deliver (on average)? Probably the best data out there comes from people who have run display layouts in restaurants in continuous operation, etc. Some day perhaps someone will do a study.